M & H Coaches, runs a professional, prompt, and reliable service, for private and corporate clients. 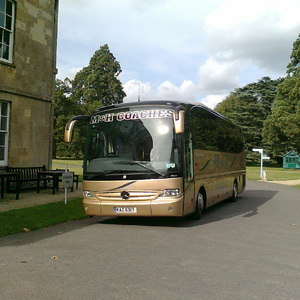 When you need affordable coach hire to get you and your group to a destination, you want a specialist provider that can meet both your needs and budget. 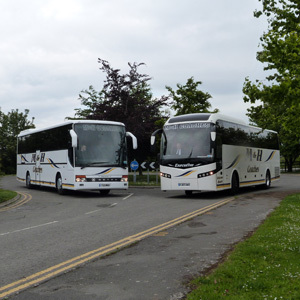 That's why M & H Coaches provides its impressive fleet of vehicles, with experienced, professional, helpful drivers at a reasonable price. Our 24/7 service is perfect for early airport transfers and corporate events that run late into the night, ensuring a stress-free, punctual pleasant journey. "I have booked this company for a number of years for various day trips. The coaches have been executive and very clean. Would highly recommend. Past drivers have always been considerate and helpful, which is appreciated as many travelling were elderly." Copyright © 2016. M & H Coaches LTD All Rights Reserved.